Welcome to the Sunshine State in summer. Contrary to popular belief, it's not always a sunny paradise. Don't get us wrong, we love Florida, but we have some tips for you not-so-seasoned Florida vacationers. 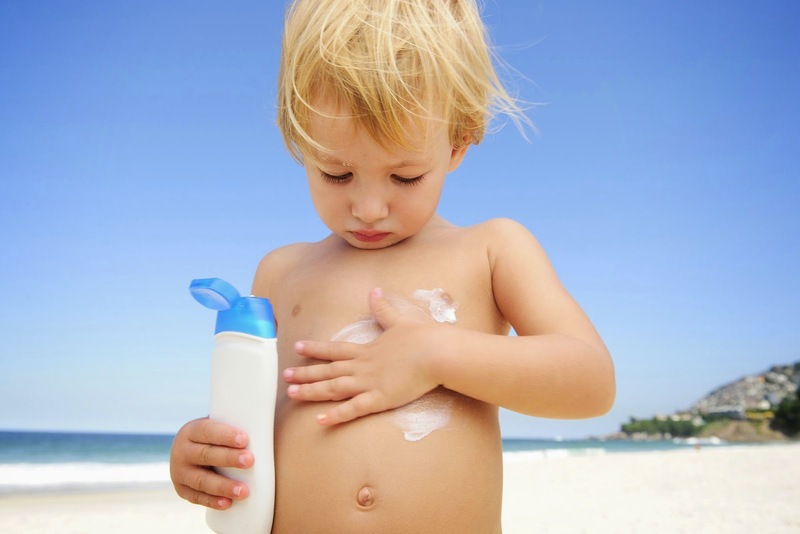 Here are 10 tips for surviving the Florida summer. Get a water bottle and bring it everywhere. It's really easy to forget to consume water when you're enjoying all Florida's great attractions like theme parks, beaches, and nature preserves. 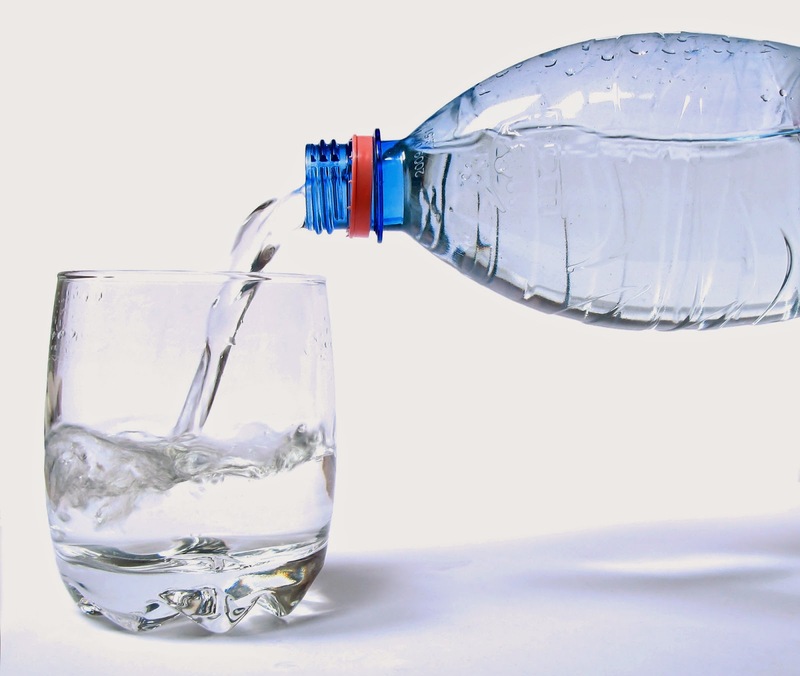 Keep lots of water on hand too so you'll always have some nearby in case of emergencies. We don't want to rain on your parade, but Florida might. In the summer, rain showers are a daily occurrence. If you're not from around here you might think the whole day is ruined, but it's not. The summer rain showers usually only last a few minutes, but if you're out in nature a rain poncho can help you wait out the storm. Good news, all the other tourists will leave and you'll have the place to yourselves. You're welcome. Remember when we told you about the rain? Well, lots of rain means lots of bugs. Don't worry though, they are easily warded off with spray and candles. In fact, tossing some sage in your campfire will help keep them away too. 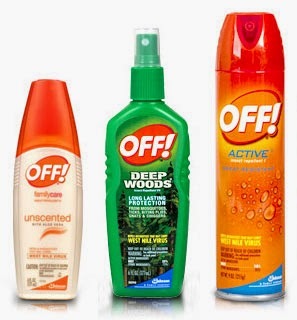 Grab travel sizes of bug spray to bring on trails and make sure it's water repellent. You'll have a much better time if you aren't getting eaten alive by bugs. Pro tip from Floridians. Laugh away, but these hats aren't just for the fashion-backward Floridians, they actually have a purpose. They help keep the sun out of your face and off your neck. 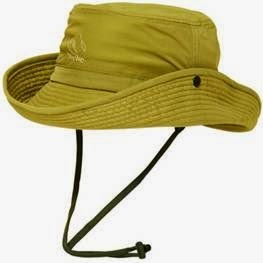 Trust us, a good hat with breathable material will save you if you're spending a long time outside. We're not saying you need this particular hat, maybe a baseball cap will do, but don't say we didn't warn you. We're pretty sure Florida is actually located on the sun. This is great for trying to get a summer tan and for cooking hot dogs without a grill. Anyway, you'll remember the first time you try to brave the Florida sun without sunscreen. You won't do it again, Florida is an awesome place to vacation, but you have to respect that sun. Make sure to apply and reapply, especially if you have young kids. At Weeki Wachee River, the spring isn't the only thing that keeps people coming back. A real life mermaid show has been delighting guests since 1947. You can catch the show 365 days a year, and in the summer months you'll love Buccaneer Bay. It's a thrilling attraction with water slides, and a sandy beach that's perfect for a tan. Want more action? Grab a kayak and head down the river, one of the most scenic paddling trips in the state! Whatever happens, you're sure to have good Florida fun at Weeki Wachee. Who loves springs more than hot summer sunbathers? Manatees of course! At Homosassa Springs Wildlife State Park, you're in the heart of manatee country. But, don't forget to give a little love to Lu the Hippo. Who's that? We're glad you asked! He's just you're average famous hippo, except of course that he was granted special Florida citizenship in 1991 by Gov. Lawton Chiles. 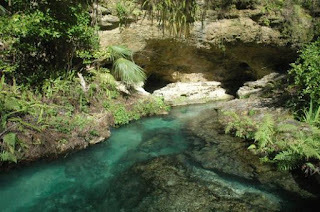 While you're there, stop by Crystal River's Three Sisters Spring, one of the most amazing sites in the state! If you love manatees, then winter is a great time to go, because there's tons of them. Grab a paddle board and become one with the sea cows! While there might be no Creature from the Black Lagoon here, you just might remember this place from an old movie. 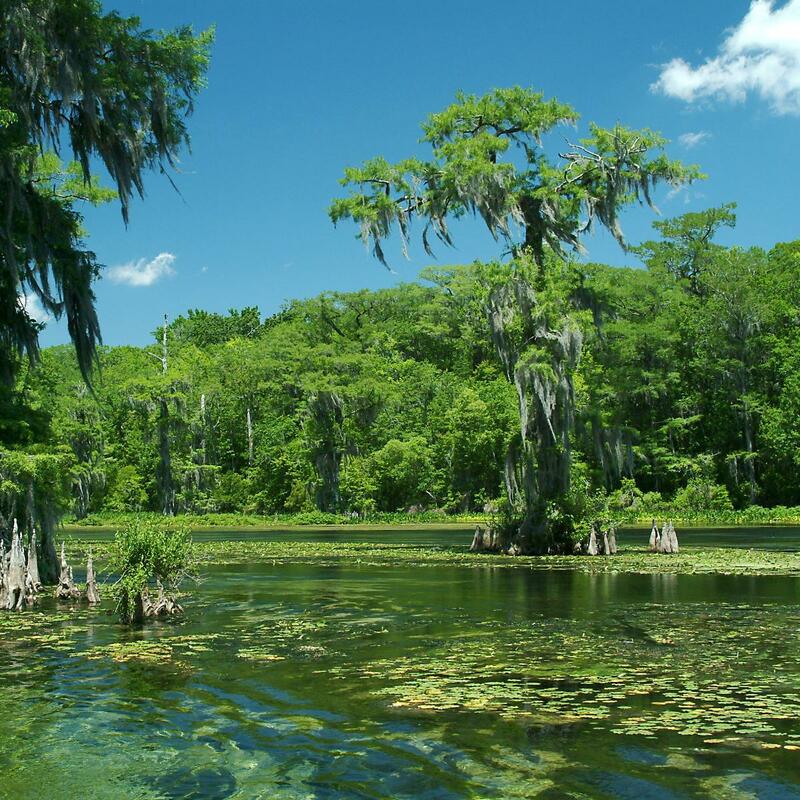 Just 15 outside of Florida's capital, Wakulla Springs State Park is the deepest freshwater spring in the world! The springs aren't just famous for one movie, they are a popular location for many Hollywood Classics. While you're there, be sure to hop on the famous river cruise. Located in beautiful Orange County, this spring is a refreshing experience for the whole family. At the springs head, cool water spills in at a rate of 26,000 gallons per minute. Choose to wade or tube in the clear waters of the stunning Rock Spring Run. Rent tubes or bring your own, plus you can stay overnight and enjoy the springs for a few days. 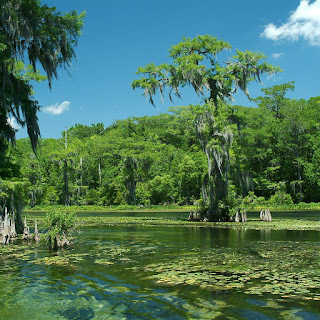 The springs also run for 8 miles through Rock Spring Run State Preserve and Wekiwa Springs State Park. You can access these waters through Kings Landing, a private company, where you can rent canoes and kayaks to paddle the length of the river. Get ready for some fun in the sun!